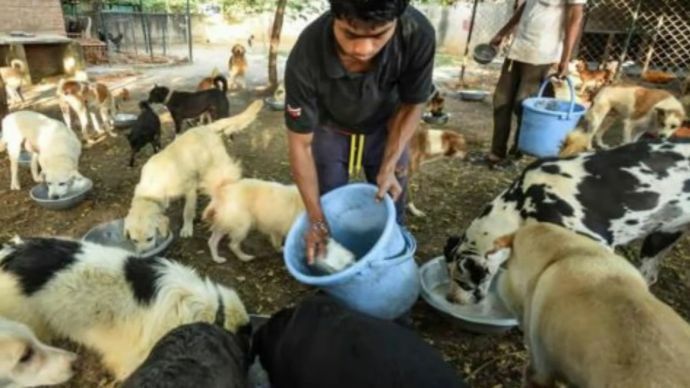 In 2012, as the number increased he decided to buy a land and this is how a farmhouse in Doddaballapur town became a shelter for so many dogs. 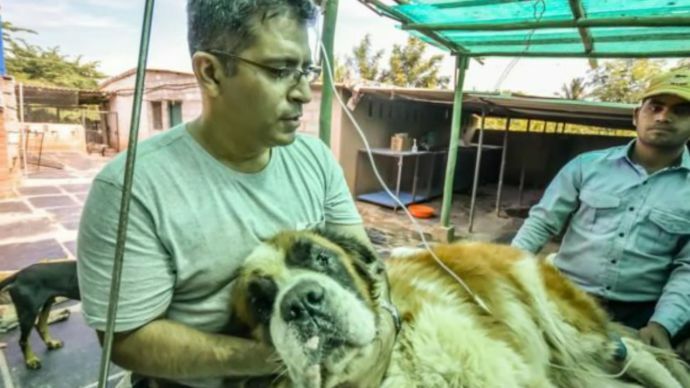 Rakesh Shukla, a software engineer from Bangalore is affectionately known as the ‘Dog Father’ as he takes care of abandoned and stray dogs. In the heart of Karnataka lies a three and a half acre farmhouse, owned by Rakesh Shukla. This farmhouse is a shelter for over 735 dogs. There are all kinds of breeds on the farm - Labradors, Golden Retrievers, Great Danes, Beagles, Dachshunds, Rottweilers, Saint Bernards and even pugs. Many of them are stray or abandoned by their owners. He also owns a software company, which he established 10 years ago with his wife. 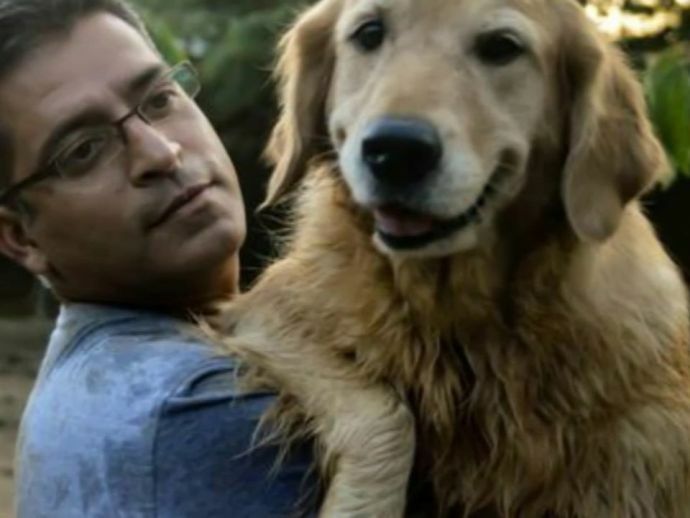 He describes his life as fancy and unhappy until he met Kavya, a beautiful 45-day-old Golden Retriever who changed his life. He met second dog Lucky, who was roaming around in the rain in a miserable state. After that whenever he met a stray or abandoned dog, he brought it home. Initially he kept them there but when his wife protested, he moved some of them to the office, where the top floor was turned into a home for dogs. In 2012, as the number increased he decided to buy a land and this is how a farm house in Doddaballapur town became a shelter for so many dogs. There are 10 employees at the farm who take care of dogs, cook and feed them. The dogs are fed 200 kg of chicken and another 200 kg of rice daily.